Home Inventory management	How Can You Master EU Inventory and Supply Chain Optimization? Inaccurate demand forecasting forces supply chains to create inventory “safety buffers” or become more agile, which requires taking a closer look at supply chain processes, including exploring whether set-up and change-over times in manufacturing can be reduced by better production scheduling or world class operations management (WCOM) initiatives. Many companies’ customers have product portfolios that continue to expand—often without concurrent phasing out or rationalization of SKUs. For many companies, complexity in a customer portfolio is seen as a bad thing, taking time, effort and money to manage. But there’s both good and bad complexity: The reality is, the more SKUs, the greater the potential combinations of goods, the greater the transportation and packaging costs. To successfully meet customers’ requirements and service level agreements (SLAs), it pays to understand exactly what these escalating costs mean to your company, so you can manage “bad” complexity (asking customers to pay for it or rationalize it), or focus on GOOD complexity that adds value to your services via your product portfolio optimization and profitability management efforts. Companies today face many uncertainties—from Black Swan events like tsunamis to stock market crashes to geopolitical instabilities that can potentially hamper their businesses and supply chains. Since it’s impossible to plan for every contingency or eventuality, a successful supply chain disruption mitigation plan focuses on the largest potential threats that can impact their firm’s value proposition and build agility into their systems to address these threats if the need arises. Large corporations are often the best candidates for taking advantage of this supply chain optimization approach. Centralizing the supply chain function within headquarters operations can offer significant savings but is also a complex task requiring significant change management. Many companies also optimize their tax liability by moving their supply chains to countries with more favorable tax structures. None of these supply chain enhancing initiatives are simple, which is why very few companies actively engage in all of them at one time. Almost all companies pursue minimizing costs and maximizing delivery performance. But selecting just one or two additional initiatives can make a large difference in your company’s overall supply chain efficiency, increasing your profitability and service levels at the same time. In addition, enhanced supply chain efficiency leads directly to greener supply chains—through better-functioning networks and reduced product damage, waste and emissions—that can be part of your larger supply chain sustainability goals that map to what your customers consider valuable. Success in Europe depends on staying ahead of the supply chain optimization curve, competitors and trends. But as always, before starting a supply chain or inventory optimization initiative, it’s important to understand the benefits you seek to achieve and map your KPIs and initiatives to your business goals. 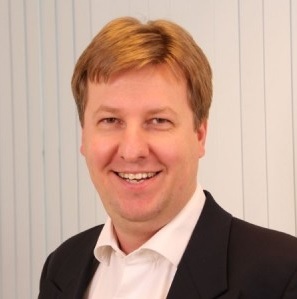 Erik Diks, Managing Director of Chainalytics Europe, is responsible for all sales and delivery of Chainalytics’ end-to-end supply chain consulting services. He brings over 15 years of broad supply chain strategy, supply chain network design, sales and operations planning (S&OP), demand and supply planning and product and customer portfolio optimization to his work with Chainalytics clients. You can reach Erik at ediks@chainalytics.com or +31 683263812.